I went on a trip to Benares to take an exam and it turned out to be a journey of introspection and self-criticism for me. 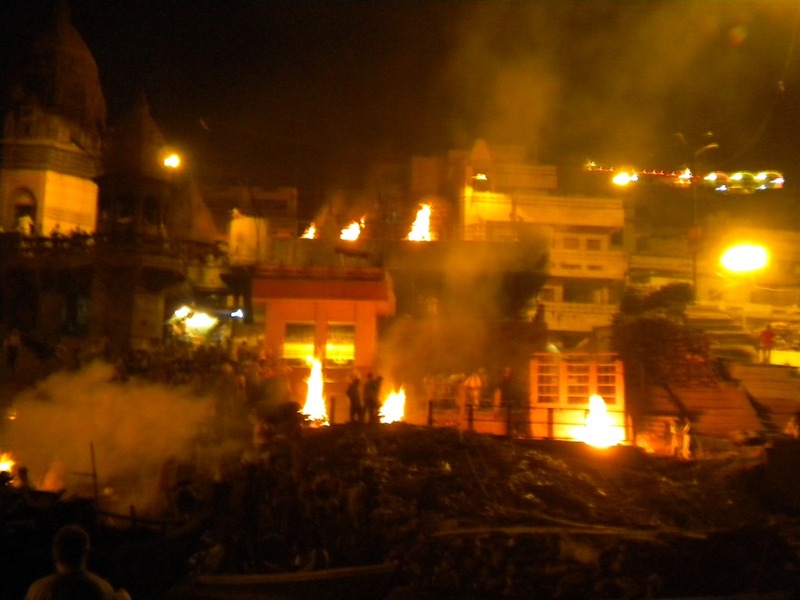 I was going through a really tough phase in life when I went out to Benares and this trip became a catharsis. There were so many things I realized I was doing wrong in life, that it really opened my eyes up. It took me away from the crazy-cranky life I led and sowed seeds of peace and confidence in me. I am posting snippets from the trip on my other blog, Aequanimitas, some of which I shall be cross-posting here. I hope the Google-Gods don’t penalize me for this! 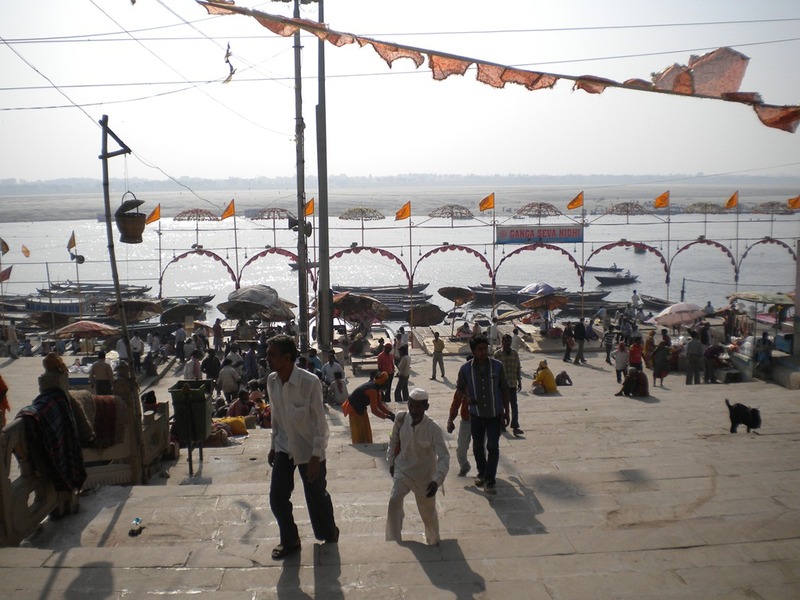 Benares is a city that is defined by the River Ganga. 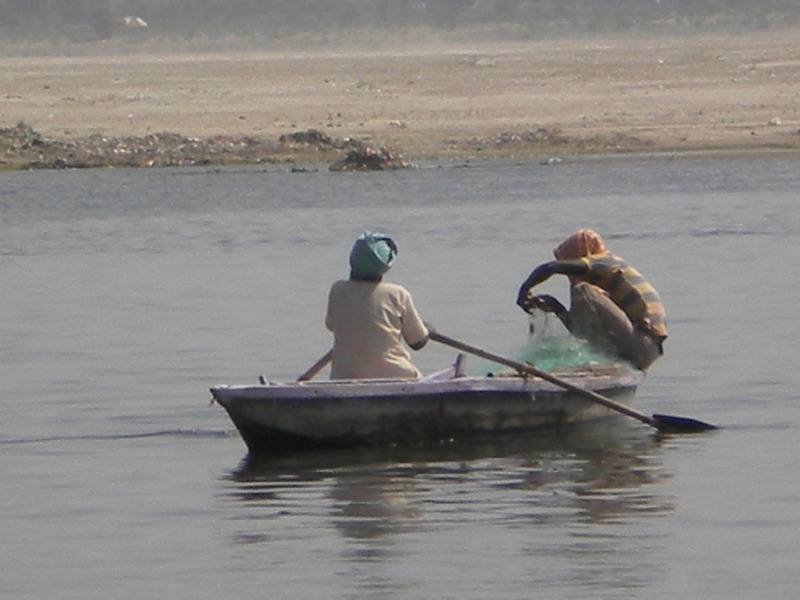 The river has more than just geographical importance for Indians. It has a rather unique sacrosanct cultural connotation. 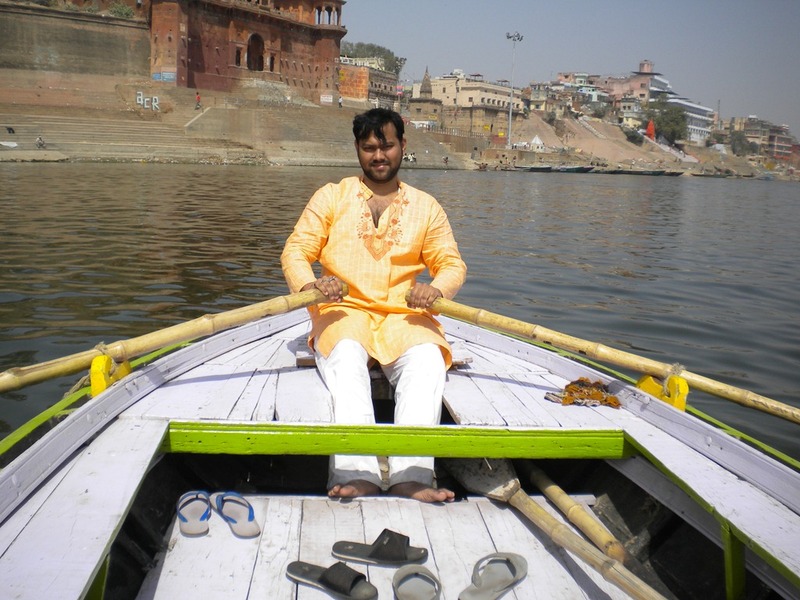 Despite the fact that under immense human pressure the river has become burdened with pollution, dirt and human sins, the Ganga remains a special body, especially if you are in Varanasi. 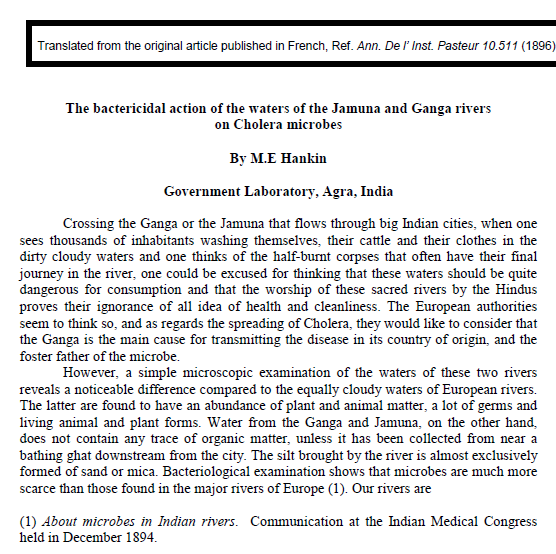 This reminds me of the seminal paper by Dr. Hanbury Hankin which was published by the Institut Pasteur, where he demonstrated the cholerilytic properties of Ganga water. He put Vibrio cholerae in distilled water and Ganga water and found that the bugs were eliminated from the latter in about 3 hours. 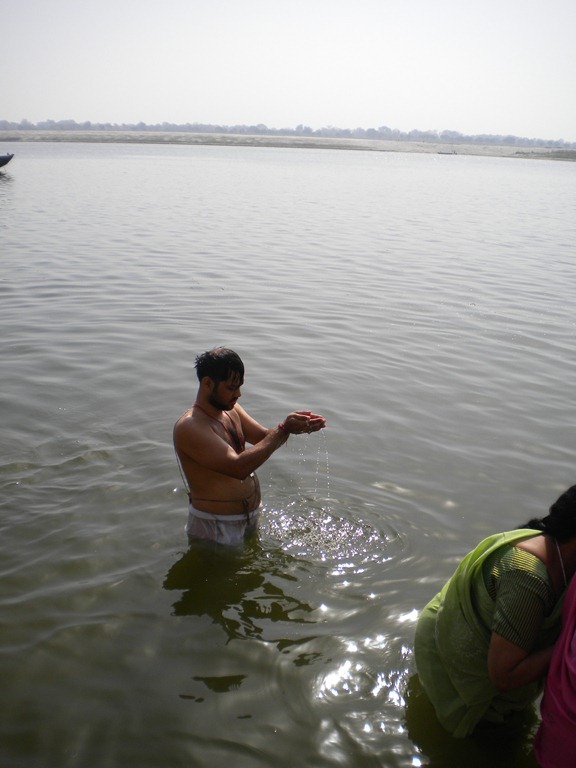 He also found that this bactericidal action was destroyed by boiling the Ganga water. A detailed description of this phenomenon is discussed in simple terms here. 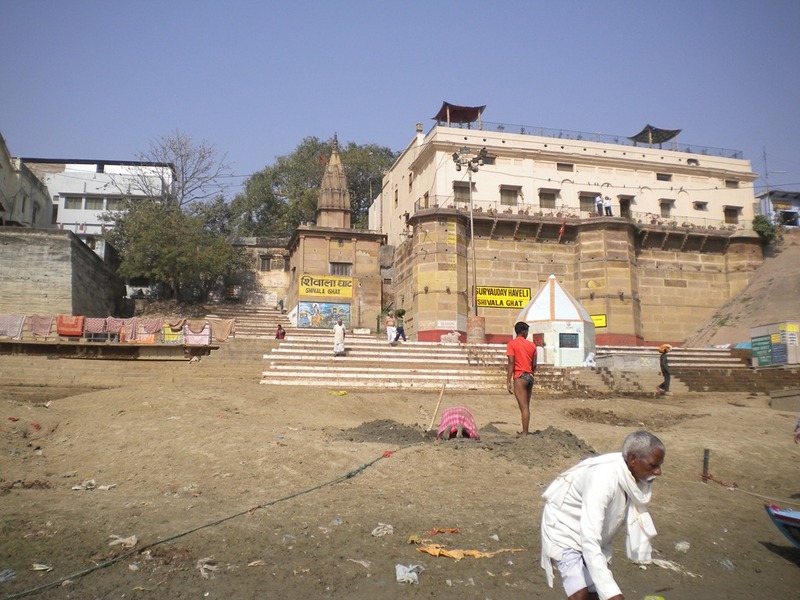 This is the Shivala Ghat and was near the place where I was staying. I spent a lot of time everyday in the evening sitting here, just listening to the lapping of the Ganges, and soaking in the bliss of solitude. On the way upstream, we hitched a ride with a motorboat since ours was an manually worked one, and it would have taken a long time to go from Shivala (where I was staying) to Manikarnika. I took a dip at Manikarnika. Legend has it that Shiva and Sati were taking a dip here when Shiva lost his Mani (gem) and Sati lost her Karnika (earring) and though they searched high and low for it, they did not get it. They were understandably furious and cursed the place that there would be crematory pyres burning here for ever. 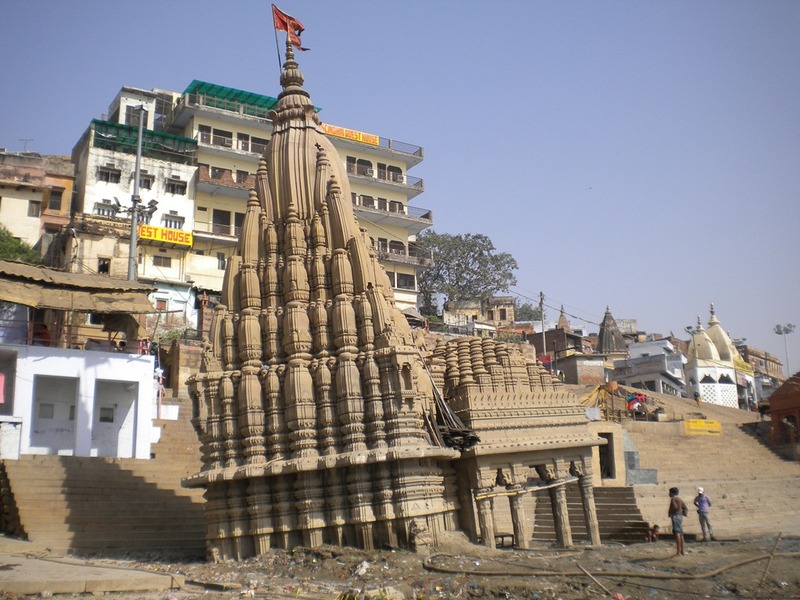 Anyways, back to cheerier images – this is the Kashi Khandar, which is a half sunk, precariously placed temple right at the edge of the water. The boatman said he’s seen this just this way ever since he can remember it as a child. Fascinating! 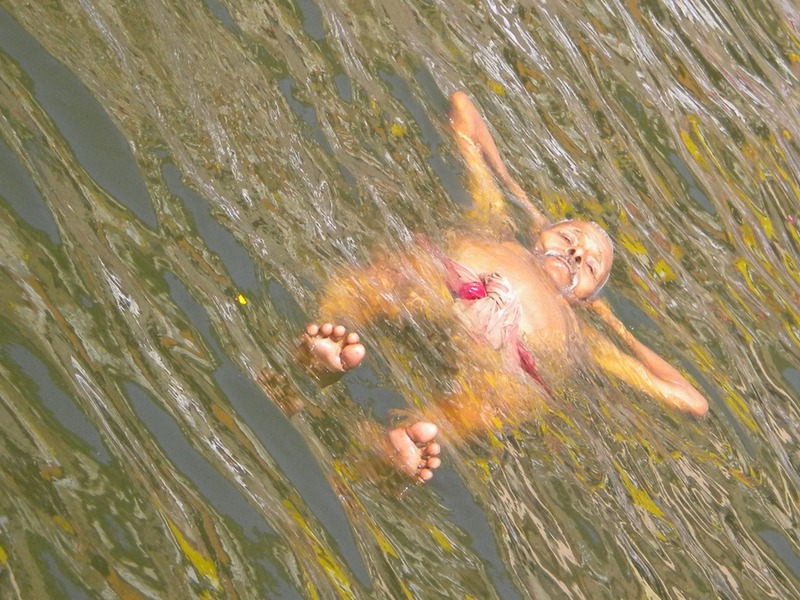 And we came across this sadhu who was taking a float down the river! We also saw a bunch of people fishing on the river. Though I wanted to get close to them and see how they did it, Ram-ji, the boatman, said that it would scare the fish away and though the fishermen would not say anything it would harm their catch. He said he could take me to a fishing trip if I had the time, but unfortunately, I did not. I took the ride on the last day of my stay. 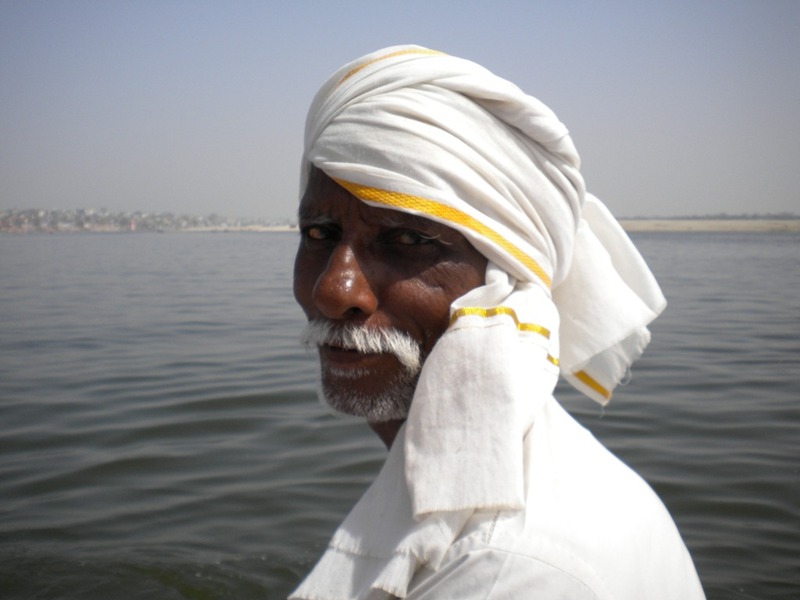 Ram-ji, my boatman, was a dear old fellow. He used to be a carpenter but since he got old, he was having trouble with tremors and vision and could no longer do the fine work needed of him. So he decided to take up rowing. His two sons were carpenters like him. I felt sad to hear that the old man had to take up such a laborious job. Sometimes the poverty in India makes me mad. I tried to assuage my guilt by paying him a generous tip and asking him to get his eyes checked out, I assured him that it was very common to get cataracts at his age and if done under proper care it needed a very simple surgery to set his eyesight right. I wished I could do more, but there literally was nothing more for me to do! 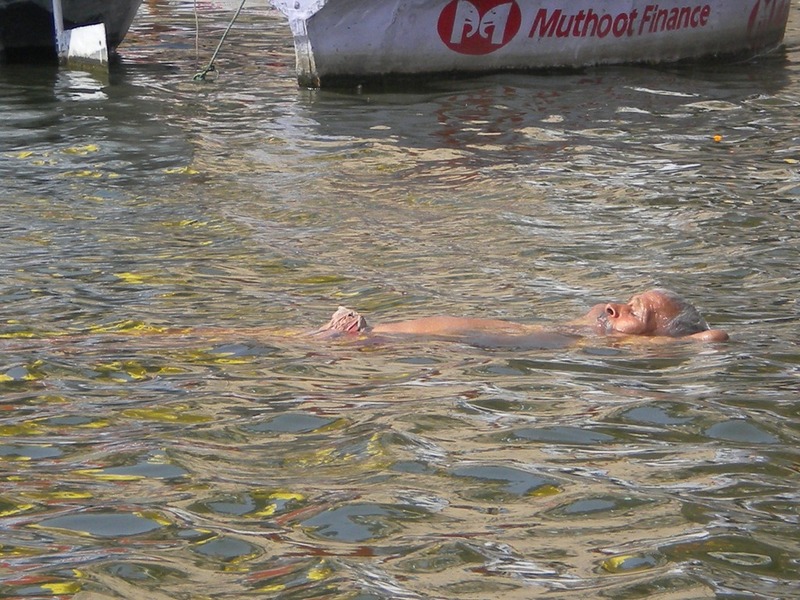 And finally, on the way downstream, I decided that I needed to learn how to row and asked Ram-ji to give me lessons. After some cajoling and needling, he relented and taught me the tricks, which were simple, really. Damned hard work, but essentially simple. So, after a wobbly start and a meandering gait (thanks to an overactive right hand, which made my boat go in an arc! ), I got the hang of the thing and rowed us back! 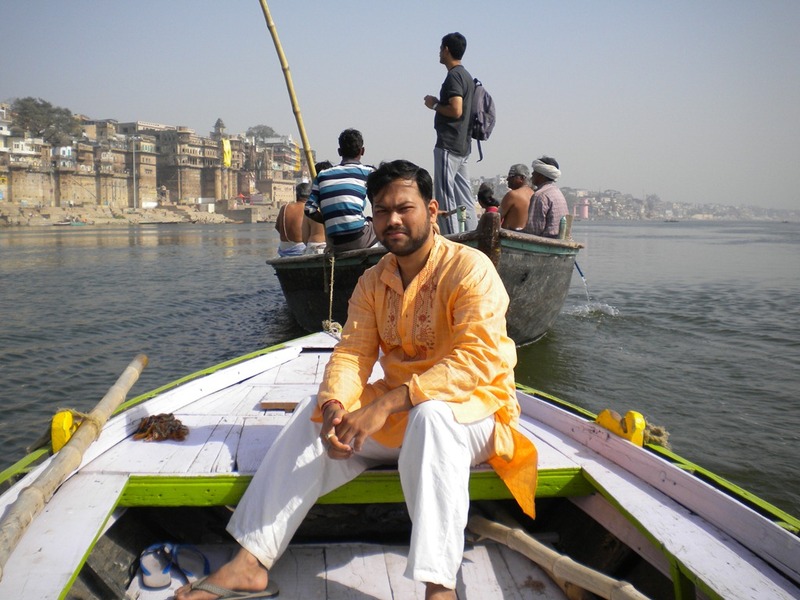 Benares gave me some of the best memories in a really difficult time… more to come in upcoming posts! 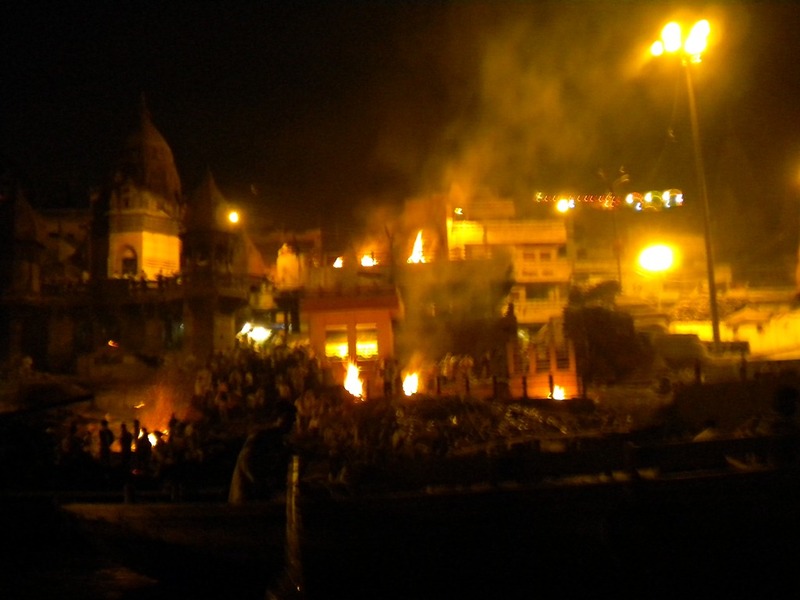 Tags: Benares, Blogging, Images, Kashi Katha, Personal, Photoblogging, postaday, Rant, Traveling. Bookmark the permalink. Previous post ← Twitter Acquires Posterous: The End of A Good Thing?